* Dylan will never be a biological father. * Victor Newman will always win. * Nikki will always go back to Victor. * Nick will always go back to Sharon. * Victoria will always go back to Billy. * Ian Ward can escape from any prison. What the heck is wrong with Lily? She must be incredibly naive or incredibly foolish. How could she have trusted Joe Clark? How could she have fallen for his phony charm? Joe is so transparent. He's about as sincere as the smirk on his face. Some online Y&R fans have pointed out that Sharon still doesn't know that Adam is alive. She will learn the news eventually. Remember that she has been in a psychiatric hospital under the care of the evil Dr. Anderson She thinks she has given birth to a baby boy, who is really the child of her ex-husband Nick's current wife, Sage, and her own ex-husband, Adam. Only on a soap! At any rate, Sharon and Adam's relationship is dead and buried. That ship has sailed. Let's discuss the Dr. Anderson storyline further. I have thought of some questions the writers don't want us to ask. I know Dr. Anderson drugged Sharon up, but still . . . wouldn't Sharon know that she hadn't really given birth? After all, she's had children before. Also, at the christening, Sage looked directly at her own child and didn't recognize him. How could a mother not recognize her child? Dr. Anderson is starting to get quite involved in the lives of the Newman family. She has oodles of nerve, that's for sure. She even suggested that Sage would keep her distance from baby Sully/Christian. Understandably, Nick was quite annoyed with that and called her "Dr. Know-It All." The bad doctor is certainly making herself known around Genoa.City. She's been socializing and has revealed that stated that her first name is "Sandy." Sandy was the first name of the girl who was paralyzed in a diving accident at Nick Newman's pool party. Yet, how can she be that Sandy? Nick would have recognized her, unless she's had plastic surgery - Yikes, please no! We've had enough of that on the show - and is she no longer paralyzed too? It is obvious that the Newmans are the target of Dr. Anderson's vindictiveness. Still, her identity remains a mystery. She could be a relative of the injured Sandy, perhaps her sister. Dylan isn't exactly the sharpest knife in the draw. He isn't the least suspicious of Dr. Anderson. In fact, he thinks she's been a great help to Sharon. Hello? Earth to Dylan McAvoy! Was this guy actually considering joining the Genoa City Police? I guess he must have inherited his father's clueless genes. That scoundrel Ian Ward was hauled off to prison again, but remember his parting words. He warned Victor and Phyllis that "This is not over yet, not by a long shot!" I hope so. I want to see more of him. As a fictional character, he's very entertaining and amusing and he sure has a way with words. No prison seems to be able to hold him for long. We've been even given more proof that, according to the Y&R writers, the Great Victor Newman is invincible. Despite the massive fire, the Newman building is being quickly repaired. Much to my dismay, that infernal portrait of Victor managed to survive. That portrait is definitely a symbol of Victor's invincibility and power. That's why Victoria proudly hung it back up in the office. Sage just doesn't fit with Nick. Nick forgave her for lying about Adam and keeping secrets, but yet turns Sharon away for basically doing the same thing. Sage does not belong with Nick. They have no chemistry. I think Sharon and Nick should reunite and stay together. They have so much history and chemistry together that in my book, they are a super couple on daytime soaps. Well, Marilyn, I think your wish will come true. I don't think Nick and Sage will stay together once Nick discovers that Adam is Christian's father - and we all know that the truth will come out, don't we? Secrets don't remain secrets on soaps (I can only think of one exception. John Abbott went to his grave without the knowledge that he was not Ashley's biological father). Many of the storylines are dragging right now. I am even losing interest in the Chelsea/Adam great love affairs as there are so many negative possibilities that you know it will never be smooth sailing. Adam will be torn between his two sons and their mothers at some point. If Nick takes up with Sharon again, that will take the cake! Yes, CC, I agree that many of the storylines are dragging a bit. However, we've come to the end of the November sweeps. There has to be a lull after all that intrigue and suspense with the explosion and fire at Newman Industries. Christmas and New Year's are just around the corner. The holidays are usually a very interesting and fun-filled time on the show. This year, Traci Abbott will be home for the festive season and Abby and Dr. Stitch are getting ready for their wedding. With regard to Chelsea and Adam's love affair, there can't be smooth sailing. As Shakespeare wrote, "The course of true love never did run smooth." - especially on a soap. There has to be conflict. We can only enjoy the moments. As you know, there's always a secret that will tear a couple apart. In this case, Adam has not told Chelsea that he is baby Christian's father. Once again, he is hiding something from her and that doesn't bode well for their relationship. I'm afraid there's already trouble in paradise for Chelsea and Adam. That trouble has arrived in the person of Sage. Although Sage has closed herself off from Nick, she has made a connection with Adam. Chelsea is already disturbed by their bond. You probably don't want to hear this, CC, but I really think that Nick will take up with Sharon again. It certainly will "take the cake" and I can see it happening. Nick is repeating the pattern of his father, The Great Victor Newman. It's a Newman trait. Victor has been married multiple times, but he always goes back to Nikki. Through the years, Nikki and Victor have broken up and made up countless times. It's going to be the same with Nick and Sharon. Another regular contributor, Fifi from Collingwood, Ontario, says she is not impressed with the acting ability of the child who portrays little Connor Newman. Actually, Fifi, Connor is currently being played by twins Gunner and Ryder Gadbois. I'm not too impressed either. BREAKING NEWS: Jason Thompson is the new Billy Abbott! Well fans, the rumours were true. We have a new Billy Boy and he's Jason Thompson. Jason was a General Hospital fan favourite I'm not too surprised that he'll be coming to Genoa City, When he left GH after ten years on the show, the writing was on the wall. Jason will assume the role of Billy Abbott in January of 2016, replacing Burgess Jenkins, who announced last month that he'd decided to leave Y&R after 18 months as Billy. The question now is whether Jason Thompson will be able to make the role his own, as Justin Hartley has done with the role of Adam. Will Jason be good enough to make us get over the departure Billy Miller? It's also extremely important that his onscreen chemistry with Amelia Heinle (Victoria Newman) is good. General Hospital has recently scooped up a few Y&R stars. This time we can chalk one up for The Young and the Restless. 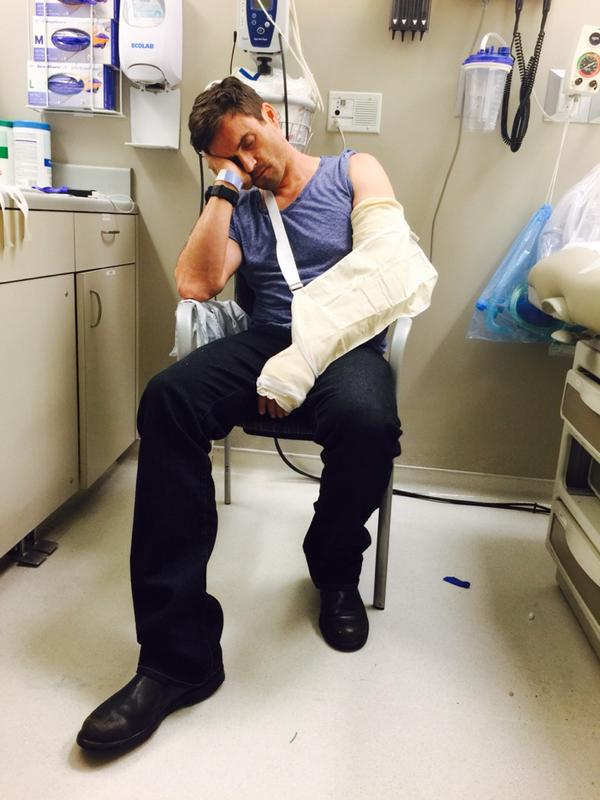 Daniel Goddard, not unlike his character, Cane Ashby, has been having his struggles lately. The Australian was rushed to emergency after a setback in his recovery from a broken elbow, He sustained the injury back in September, while filming a fight scene with Cane's nemesis, Joe Clark, played by Scott Elrod. Daniel tweeted that his body rejected that his body had rejected the metal in his elbow and that he had to get it removed as soon as possible. No good deed goes unpunished, or so I've been told. I've never done one. I'm scared of Victor Newman. His dog tried to hurt my kitty cat. 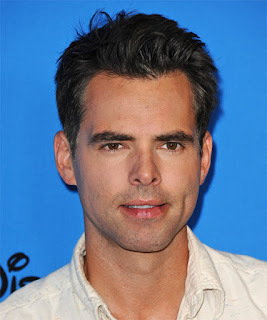 Are you happy that Jason Thompson is going to be the new Billy Abbott? Yes. I've seen him on General Hospital and I like him. No. Nobody can replace Billy Miller in the part. I wish he'd come back. That's all for now. Tomorrow I will be attending Kate Linder's charity event to raise money for the March of Dimes. It is a high tea at the Royal York Hotel in Toronto. 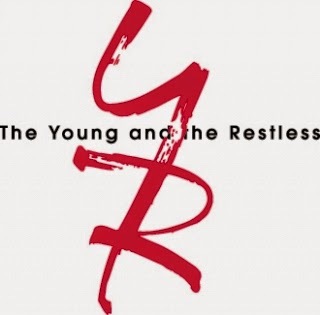 Y&R stars in attendance will be Kate Linder (Esther) Valentine, Christian LeBlanc (Michael Baldwin), Camryn Grimes (Maiah Copeland), Melissa Ordway (Abby Newman) and Robert Adamson (Noah Newman). I'm looking forward to the event and I will report on it in the next edition of Y&R Report on Saturday, December 19, 2015.